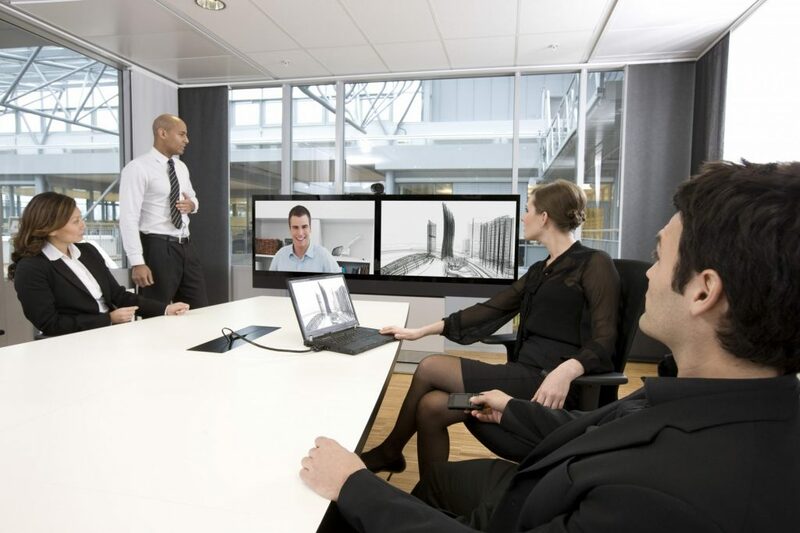 Despite the available technology, some business still struggle with online meetings. They may have had a bad experience in the past or are just unfamiliar with the technology and the process of organising a video conference involving multiple sites. This is where Eyenetwork comes in. We are experts in the field and for over two decades we have been evolving our skills & services as technology advances. Eyenetwork can offer you a concierge service for covering important events for your company, so you don’t have to worry about the call disconnecting or operating the video conferencing equipment and focus 100% on your meeting. With our concierge service, specially trained technicians will connect the call for you, verify the audio and video quality & will monitor the connection throughout its duration, whilst troubleshooting any issues that might arise. You will not have to telephone anyone if the call breaks up as the technicians will be connected remotely ensuring everything runs smoothly. The service ensures you have a worry free connection, so the focus can be on your meeting. Scheduling of the Call – our technicians will organise and schedule the call, all you need to do is provide us with the connecting sites details. Test Call – We will coordinate a test call with all sites (depending on their availability) to ensure the connection is stable and of sufficient quality. Launching the Call – Our technicians will connect all sites of the call on the agreed date and time. Troubleshooting / Assistance / Monitoring – If any assistance or troubleshooting is required during the call our concierge team will be on call 24/7. The team will also monitor the call throughout, ensuring the connection is stable. The monitoring is strictly from a technical side so the operator will not see or listen to the actual meeting taking place, giving you total privacy. Ending the call – The concierge operator will terminate the call at the agreed time unless instructed otherwise. Availability – Our concierge service is available 24/7 and the operators speak English, French, Spanish, Italian, Slovenian and Portuguese. For more information on our concierge services check our website at: https://www.eyenetwork.com/services/video-concierge-services/ telephone our office on 01273 32 44 22 or contact our MD James Smith.